Any parent facing six weeks of summer holidays has the challenge of keeping the kids entertained, and if you have separated from your partner, the challenge is even tougher. 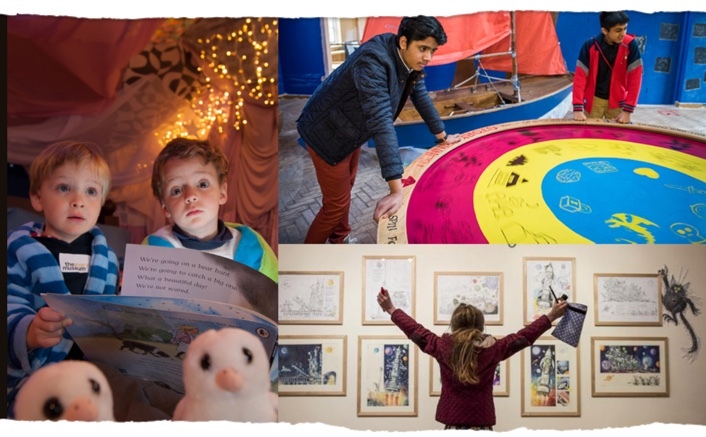 Their imaginative conversion of a rambling old house on Pembroke Street now offers rooms where children can take part in a fabulous array of book-related activities. There’s an Illustration Exhibition with a live ‘Illustrator Zoo’; the chance to dress up and sit on the Talking Throne; a giant bed, where all sorts of people are reading bed-time stories – and there are rooms rigged out to feel like a scene out of people’s favourite books – Treasure Island, Narnia – where you can snuggle up and read stories to your heart’s content. We all love stories. As adults, we develop the knack of creating a story in our heads about how life is treating us – usually unfairly ­– and when our marriage breaks down, that story becomes a script we hang on to, to prove how badly the other person has behaved, and how awful they made us feel. In family mediation, those stories are important. Focus mediators always start by asking each person to spend an hour just talking about themselves, in private, in complete confidence, so that the mediator gets the hang of how things look from both points of view, and each of you feels heard. But when the joint sessions start, at which you come together with the mediator to discuss the issues you’ve got to sort out – arrangements for the children, what’s happening about the house, how is maintenance going to work, and what about the pensions – those stories become less important. It’s not about who did what anymore; it’s about who is going to do what, so that you can both move forward into your independent lives. Not exactly stepping through the wardrobe, and not nearly so much fun, but a constructive, reasonable, mature way of dealing with divorce. It’s comparatively quick, and cheap – and the kids will thank you for it. This entry was written by focusmediation, posted on August 4, 2015 at 4:22 pm, filed under Conflict, Family, Mediation, Separation and tagged child maintenance, children, Courts. Bookmark the permalink. Follow any comments here with the RSS feed for this post. Post a comment or leave a trackback: Trackback URL.